You are here: Home / Freebies / FREE Fruit Recipes eCookbook! Right now at RecipeLion.com you can download the eCookbook, 15 Fruit Recipes, for FREE! All you have to do is enter your email in the popup box to get access to it. Cook up delicious dishes inspired by fresh, seasonal fruits with this comprehensive eCookbook. 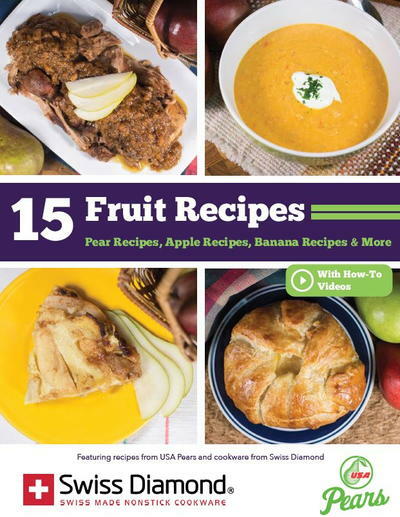 There is a wide variety of fruit recipes included in this collection, from breakfast recipes to dinner recipes to recipes for dessert. Transform fruit into something you would never have imagined with these easy recipes. This site has many other great recipes and eBooks that are available to download, so feel free to browse around a bit!